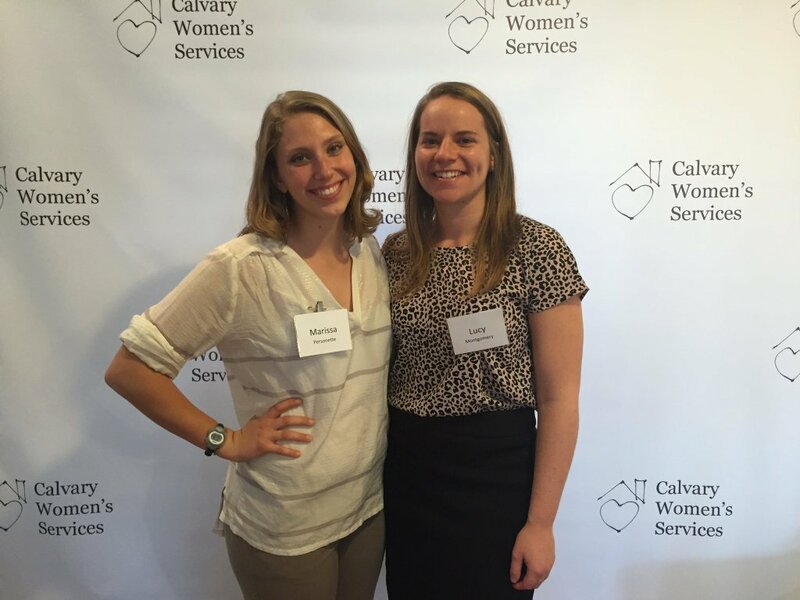 Calvary Women’s Services has partnered with Service Never Sleeps (SNS) – a nonprofit organization with a mission “to transform communities by mobilizing young professionals to combat urgent social justice issues” – on a yearlong fellowship program for two young women. They are among a group of 12 young professionals who are working with organizations around the city that address the needs of underserved residents. The fellowships are designed to foster leadership and professional skills through structured service projects and monthly leadership sessions. Each fellow commits to volunteering at least 10 hours per month at their designated placement. During the next year, Lucy Montgomery and Marissa Personette will serve as steady Calvary volunteers who will fill overnight shifts and devote time to the Life Skills, Education and Arts Program (LEAP) curriculum. Each fellow is sponsored by a corporate partner or generous individual. Both Lucy and Marissa’s fellowships are being funded by Sue Carlton, a philanthropist and member of the SNS board. We welcome Lucy and Marissa to Calvary and look forward to the energy they will bring to their service! You can get to know Lucy and Marissa better through this SNS webpage.